Are you looking for a great “wine gift” for a birthday celebration, St Valentine Day or your weeding anniversary in France? Or maybe, you would you like to please your friends, parents or colleagues coming to France and staying in Lyon with a perfect day in the countryside? 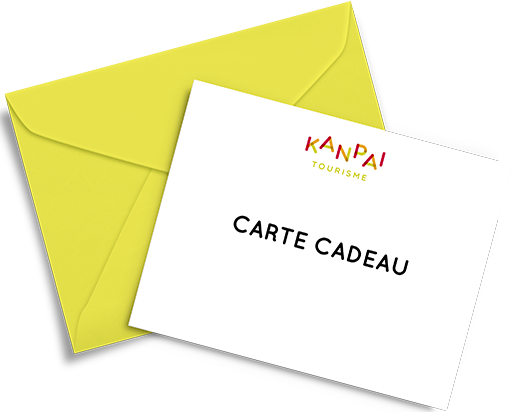 Kanpai sells beautifully presented Gift Card to explore Lyon's wine countries available one year from the purchase date. Buy a Gift Card through Kanpai website and receive by e-mail a nice invitation card as the gift voucher. Your guest participants will only need to phone or e-mail us to redeem the gift voucher with their request date. We strongly advice your guests to choose their touring date with as much notice as possible to ensure availability. Once the date is verified as available by Kanpai, a e-mail will be sent to your guests validating the tour reservation. The day of the tour, your guests will give the gift card to Kanpai driver Guide before departure.